Now that you understand that basic aspect of pigeon-hood we can talk about how to get rid of pigeons and how to keep pigeons away. Happily, the same solutions will achieve both! We’ll also get into some of the reasons people both love and hate pigeons. For starters, pigeons and people go way back. Domesticated pigeons appear in Mesopotamian cuneiform tablets and in Egyptian hieroglyphics from more than 5,000 years ago! And, it was the humble homing pigeon who carried vital strategic information for the U.S. Army Signal Corps during World War I and II, saving untold numbers of lives. Pigeons even helped Charles Darwin work out parts of his theory of evolution. Flash forward to more recent times, though, and pigeons get mixed reviews and treatment. They are adored by people who enjoy watching and feeding them and those who keep and train homing pigeons… not to mention those who, apparently, enjoy making curious videos about pigeons’ love lives. But there are also those who find pigeons noisy, messy, or so numerous that they become an inconvenience to have around. Despite the pigeon’s lofty contributions to humankind, some of those people probably hate pigeons. Let’s zero in on what to do about the problem situations that sometimes arise. Attracting pigeons is easy. They simply want convenient places to roost and nest and easy access to food—and they’re sure not picky about what they eat. This knowledge is key if you want to know how to get rid of pigeons (and, once they’re gone, how to keep pigeons away). You first need to look for the ways they’re finding food and shelter in the area you want them to leave, and then, make the necessary changes. First off, stop feeding them, whether it’s intentional or accidental. If there’s a large number of pigeons who’ve been dining in the area for a long time, taper off over a couple weeks so they disperse naturally into surrounding areas. If people are eating outside in the area, encourage them to pick up after themselves, or, attend to cleaning up another way. If you enjoy feeding your backyard birds, but would like fewer pigeons, put all birdseed in feeders, rather than scattering it on the ground, and keep spillage from the feeders raked up. Next, you need to limit roosting and nesting options for pigeons. You’ll need to identify the nooks, ledges, and other flat shelves, especially those under eaves or other overhangs. Make these flat spots impractical for roosting and nesting by adding wood or metal sheathing over them at a 45-60 degree angle, which makes it impossible for the pigeons to land. Another option is to add “bird wires” to ledges, rooftops, awnings, or railings. For large areas, netting is often a good solution. Pigeons are prolific. Though they only lay 1-3 eggs in a clutch, they have up to 6 broods per year. And if there’s free food to be had, new pigeons will continue to arrive. You’ll be relieved to know there is such a thing as pigeon contraception. It’s called “OvoControl,” and it comes already mixed into a kibble type of food. When the pigeons eat it regularly, they lay eggs that won’t develop. Start first with the practical tips for eliminating or reducing food and places they use for roosting or nesting. But if those steps don’t resolve the conflict, OvoControl is a safe, effective, and humane option for pigeon control. 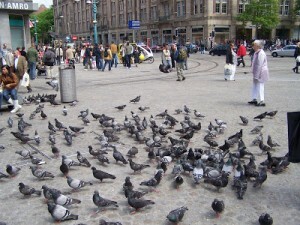 Some people worry about human health hazards when they see large gatherings of pigeons. The good news is that the Centers for Disease Control has determined that although fresh bird droppings may be messy, their presence has not been found to be a health hazard for people. Naturally, you should avoid contact with bird droppings, as with any droppings, and if accidental contact occurs, wash your hands thoroughly. If you walk in droppings, take your shoes off and leave them by the door until you have a chance to clean them off. Poisons are obviously cruel. They cause birds to suffer convulsions and die. But also consider the fact that they are indiscriminate—other birds or animals may consume them and suffer and die, too. In addition, animals who consume the poisoned birds may also suffer. Add to this tragic toll the fact that you will not have solved your pigeon problem, and you can easily see poison is all harm no benefit. 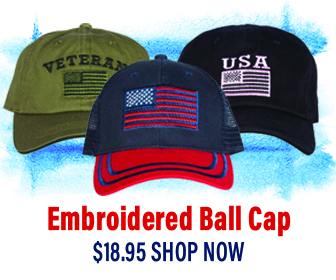 The birds who are killed are quickly replaced by new birds coming in to fill the void, unless you take the preventive measures outlined above. And, since preventive measures often solve the problem on their own, why even consider poison? Trapping and removing pigeons is another poor choice. Birds rounded up via this dubious “service” are typically killed immediately or used in pigeon shoots. Some end up permanently confined. In any case, as with poison, the void left behind will quickly fill with other pigeons unless the appropriate prevention steps are taken. So… why not just choose the approach that works? Sticky gel repellents such as polybutylene are also an extremely cruel choice. Birds who land in these sticky traps suffer seriously damaged feathers, among other hazards. Even if you lack sympathy for the pigeons, there is no way to be sure that pigeons will be the only birds who will suffer in these horrible traps. Use your time, money, and effort for the practical and effective preventive measures that will yield the lasting results you want. 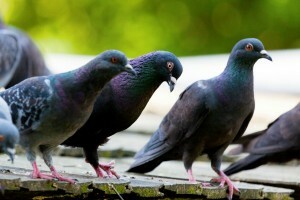 Hey Buddy!, I found this information for you: "Pigeons: Keeping Them Away". 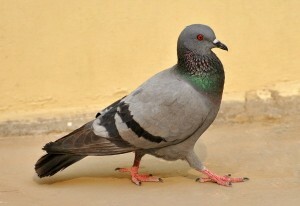 Here is the website link: https://effectivewildlifesolutions.com/pigeons-keeping-away/. Thank you.